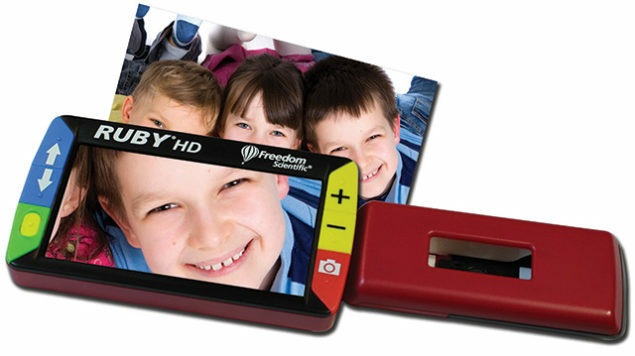 The RUBY HD combines high-definition camera technology with a lightweight body to bring you crystal-clear images in a small package. The 4.3-inch screen and built-in LED lighting provide magnified high-contrast images with no distortion. 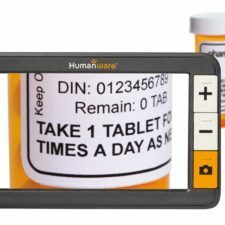 Its streamlined design means it can slip comfortably into a pocket or purse, giving you easy access to photos, prescription labels, and much more. 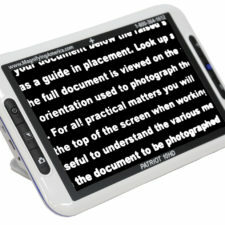 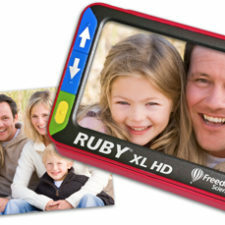 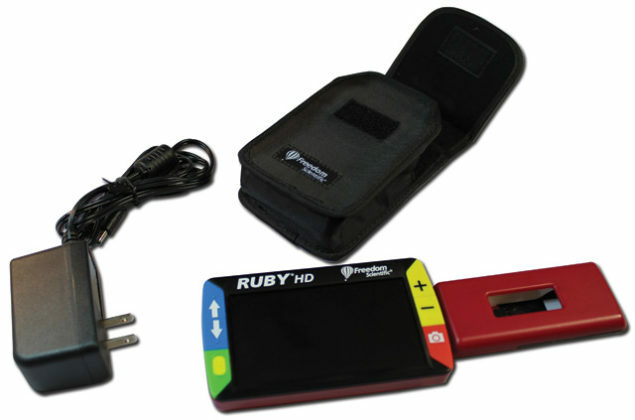 The RUBY HD is easy to use and has advanced features that can make you even more independent.